StoryAlity #6 – What is creativity – and How Does It Work? What is `creativity’ – and How Does It Work? the creative person(ality) – their personality, character, traits, values, etc… ie Who are (or: were) they? What were they like? Person(ality), Potential, Process, Product, Place, Persuasion and Press. …How do you do, creativity? Combine two old things, to make a new thing. Namely – see the diagram below! `Ultimately, all creative products have this quality: old ideas or elements are combined in new ways. No wonder he wrote some of the most creative books ever! Darwin was the most boldface-C Creative (eminent genius creative) genius who lived. 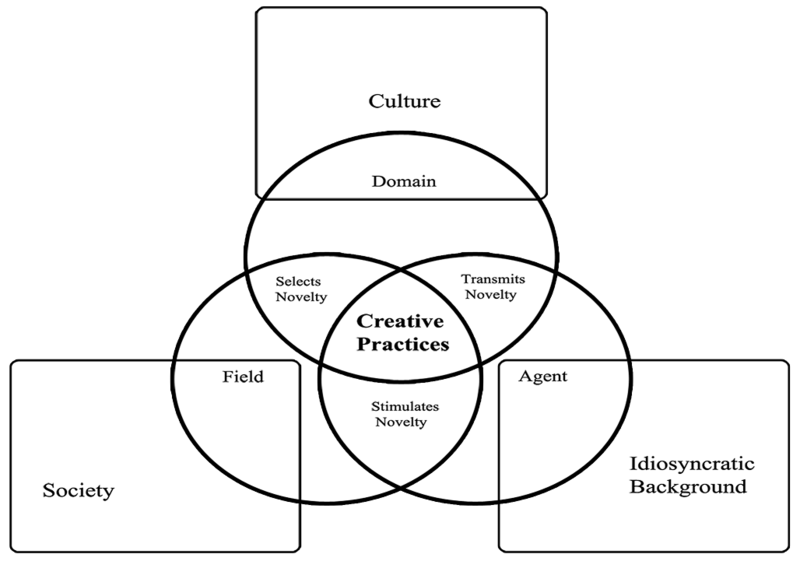 The diagram (above) takes the 4-C model of creativity (Kaufman & Beghetto 2009, 2013) diagram that I created a few years ago for my PhD, and I’ve also now added in (at the far right) D K Simonton’s (2010) 5th category: Eminent Genius(or, boldface-C Creativity). Examples of Eminent Geniuses (or, [boldface-C] Creativity) would be, folks like: Einstein, Darwin, Marie Curie, Stanley Kubrick, and so on. So creativity is a spectrum. (We are all creative, to some degree, every day). Kaufman, J. C., & Beghetto, R. A. (2009). 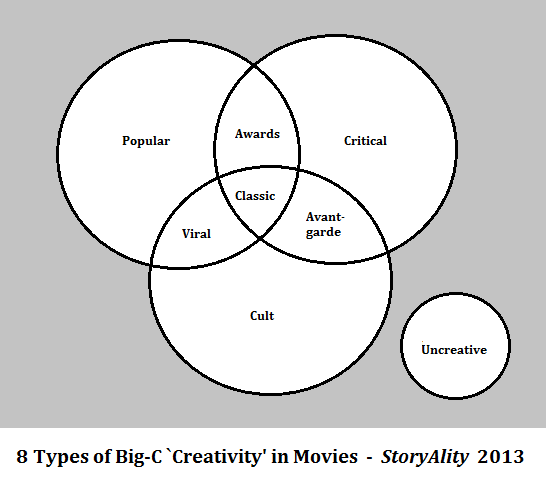 Beyond big and little: The Four C Model of Creativity. Review of General Psychology, 13, 1-12. Simonton, D. K. (2010). 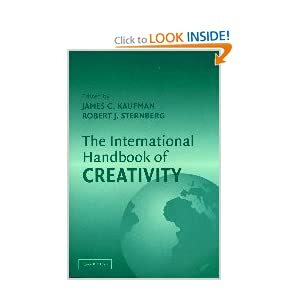 Creativity in Highly Eminent Individuals, in J. C. Kaufman & R. J. Sternberg (Eds. ), The Cambridge Handbook of Creativity(pp. 174-188). Cambridge; New York: Cambridge University Press. `In The Descent of Man Darwin wrote of the combination of intellectual faculties forming “the higher mental powers”: curiosity, imitation, attention, memory, reasoning and imagination. (Descent, Ch 3). The list of topics Darwin covered reads almost like an inventory of subjects chronically neglected by twentieth-century psychologists until the upsurge of cognitive psychology beginning in the 1950s. This process Darwin mentions is BVSR (blind-variation and selective-retention). See D K Simonton’s excellent research on the BVSR theory of creativity, for a whole lot more on that. I also wrote about it (BVSR) in my 2016 PhD thesis, on creativity in movies. It may well be possible that there are almost as many informal, non-standard definitions of `Creativity’ as there are people on this planet. But – since J P Guilford’s famous (1950) speech to the American Psychological Association, the domain of Psychology has been scientifically studying Creativity. But – it is helpful knowledge, for anyone who is trying to be professionally creative (e.g., a filmmaker, writer, musician, artist, a scientist, a painter, etc)…! A creative artifact (i.e., a meme, or unit of culture: an idea, or process, or product) is one that a consensus of people in a field finds `novel and appropriate’ (i.e., `new and useful’), and also solves a problem (or, problems) in a surprising way. Dictionary of Creativity: Terms, Concepts, Theories & Findings in Creativity Research / Compiled and edited by Eugene Gorny. Netslova.ru, 2007. In my PhD and in this revolutionary (2017) Encyclopedia article – I have shown that the above (Evolutionary Algorithm) is: Selection (of 2 or more objects), Variation (combine them and you have their offspring, just like in biology) and Transmission (communication to an audience). `Is All Creative Thinking Equivalent to Problem Solving? conceived of as exemplifying problem solving. The case studies presented in Chapters 1 and 5 can help to answer that question. In Chapter 3, I raised the possibility that creative thinking might be based on ordinary thinking but not structured as problem solving, since not all ordinary thinking involves problem solving. The second column in Table 12.1 analyzes each case study discussed in this book, in order of presentation, to determine whether it can be considered an example of problem solving. All of the case studies can be considered to be examples of problem solving. Creativity works the same way in Science as it does in the Creative Arts/ Humanities, given the systems model of Creativity. (see for example: Csikszentmihalyi, Creativity, 1996). Notably however, `Big-c’ (eminent / genius-level) Creativity is different to `everyday’ creativity. In the Handbook of Creativity (Sternberg 1999), Sternberg and Lubart find that `Creativity is the ability to produce work that is both novel (i.e. original, unexpected) and appropriate (i.e. useful, adaptive concerning task constraints)’ (Sternberg and Lubart 1999: 3). Distinguished Professor DK Simonton has done considerable research on `big-C’ Creativity, including his excellent book Great Flicks (2011). See also, his excellent article: Simonton, DK (2013), ‘What is a creative idea? Little-c versus Big-C creativity‘, in K Thomas & J Chan (eds), Handbook of Research on Creativity, Edward Elgar Publishing, Northampton, MA, pp. 69-83. So: Creativity is something that’s both novel and appropriate. Runco and Jaeger (2012) also wrote an excellent article on the standard definition of creativity. It’s called “The Standard Definition of Creativity” and it’s online here: Runco, MA & Jaeger, GJ (2012), ‘The Standard Definition of Creativity’, Creativity Research Journal, vol. 24, no. 1, pp. 92-6. Note: On quoting the standard definition of creativity, I now need to cite: Barron (1955), and especially Stein (1953), as recommended in (Runco & Jaeger 2012, p. 95)-! (1953), should be cited whenever the standard definition is used. Also, another definition (that also correlates with this same definition of “new and appropriate”) comes from psychologist, Professor Mihaly Csikszentmihalyi. Essentially, this means that Society in that creative domain (i.e. other people who make up The Field of the specific domain of creativity, such as film, or, novels, or, science etc) has to recognize the new idea, process or product as: original, and valued, and moreover – it also has to be implemented. Or, they have to buy and read your novel, or hear your song, or experience your poem, or your videogame, your comic, your haiku, etc. And in that (excellent) book – Mihaly Csikszentmihalyi articulates the systems model of creativity. Figure 2: The increasingly large concentric circles in this simplified schematic represent the major levels at which creativity forces operate. Creativity/psychology researcher Dean Keith Simonton has also conducted a comprehensive literature review, and an excellent analytical summary of the scientific and empirical research to date, on the factors that make a film succeed, in ‘Great Flicks: Scientific Studies of Cinematic Creativity and Aesthetics‘ – including screenplay, director, cast and other characteristics, concluding that: more research on story/screenplay characteristics is required (Simonton 2011: 113). 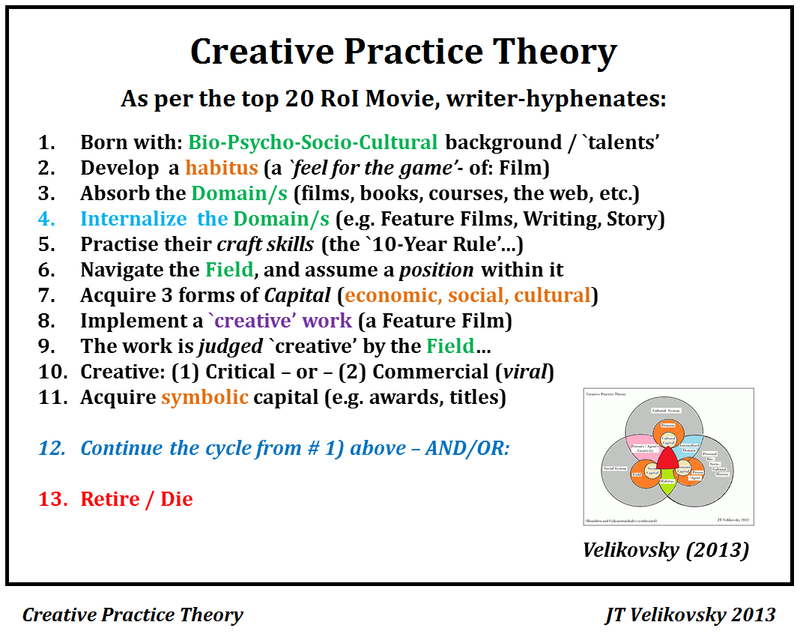 So: as a doctoral research project, I (JT Velikovsky) conducted an empirical research study of the film/story/screenplay elements on the Top – and Bottom – 20 RoI films. Why did the 20 others become: the least successful RoI films? And – (hint) …Was it primarily because of: their film stories? …Why do some stories (or – any units of culture, for that matter) spread further in culture, than others? That (2016) PhD is online here, anyway. To function well within the creative system, one must internalise the rules of the domain and the opinions of the field, so that one can choose the most promising ideas to work on, and do so in a way that will be acceptable to one’s peers. This process (internalising the domain) takes – on average – ten years. For more detail, see also the excellent article: McIntyre, P (2013), ‘Creativity as a System in Action‘, in K Thomas & J Chan (eds), Handbook of Research on Creativity, Edward Elgar Publishing, Northampton, MA, pp. 69-83. This paper proposes that applying models from within creativity research to the discipline of communication will provide innovative ways of examining communication that pushes current knowledge of cultural production beyond established research programmes. 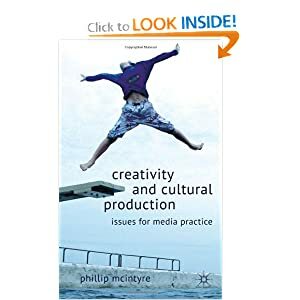 At the University of Newcastle in Australia, researchers have been applying the systems model of creativity developed by Mihaly Csikszentmihalyi to different forms of media practice in an attempt to provide a more comprehensive view of communication. Rather than focusing on either the producer or the receiver as the principal source of creativity, as other communication theories such as the transmission model and the cultural context model have done, this paper will demonstrate that the systems model of creativity allows both the producer and receiver to be examined as equal components within a creative system while also providing the contexts for creative production. Csikszentmihalyi argued that creativity is the product of a system that includes three necessary, but not individually sufficient, elements: a domain of knowledge (the cultural context), an individual who understands and uses that knowledge to produce a novel change, and a field (the social context) that understands the domain and uses that knowledge to judge that the individual’s contribution is novel and appropriate. All three elements, domain, individual and field, are equally important in producing a creative outcome. `…creativity that changes a culture is the product of three sub-systems. One is the individual, which is what we usually study. But it’s not enough to know just about the individual. In order to know whether the novelty produced by a person is going to actually be effective in changing the culture, we also have to understand two other sub-systems: The culture, which is composed of a variety of domains, and the society, which is composed of a number of fields. Let’s talk about creativity in a new domain, such as… the making of movies [film-making]. It is one of the more creative art forms of our time. Let’s call that domain A. Now, [film-making] did not start out cold. It did not spring from the brow of Jupiter, complete and ready to go. 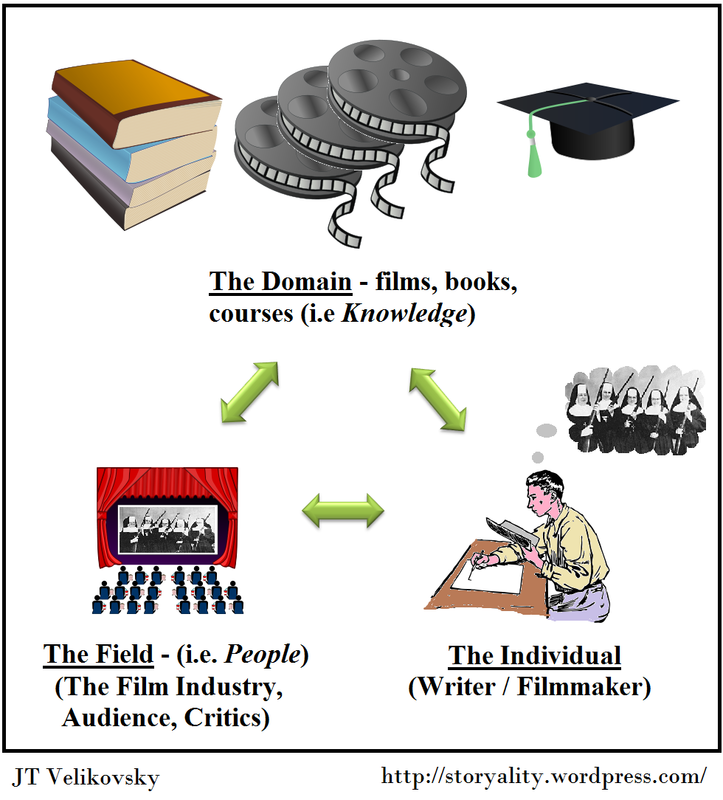 The domain of [film-making] is related to other artistic domains that existed for a long time, such as the theater, literature, and photography. These already existing domains were combined to make the first movies. Any culture is made up of thousands and thousands of domains like these. To be creative one must have a domain from which one can learn a cultural tradition. For instance, a person interested in movies may want to become a director, screenwriter, cinematographer, actor, film editor, or maybe a producer. This person will turn to the already existing domain of [film-making] and bring to it something new that may change that domain. The individual learns from that domain and tries to produce a novelty in it. Depending on whether the novelty is accepted by the field of [film-making], the person will be recognized as someone creative who has contributed to the domain. The field of [film-making] is made up of producers, investors, directors, critics, script writers, and The Academy of Motion Pictures. These are the people who can decide whether a new film or a new cutting technique is or is not worth including into the domain of [film-making]. You could have a lot of very interesting and novel ideas about making movies, but unless those ideas are selected by the field, there will be no change and therefore no creativity. Once the movie is accepted by the field, it is added to the domain and the contribution enlarges the domain from what it was before. This process is part of a continuing spiral. A person absorbs certain rules or techniques from a domain and makes a change, which might or might not be accepted by the people who control the domain. The field acts as a gatekeeper to the domain, and if the gatekeepers accept the new idea and add it to the domain, then it will become part of the culture. Then another cycle will start, and so on and on. To be useful, this model has to generate new questions and has to suggest different ways of looking at things. One can in fact play with this model quite a bit. For instance, one question that immediately presents itself is whether domains are all equally important to the culture. We will probably agree that they are not. Physics is much more important than a domain like chess. The importance of domains change with time. 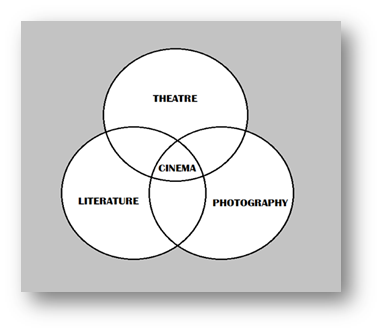 In fact Cinema is a relatively complex domain as it is itself composed of many sub-domains in culture. 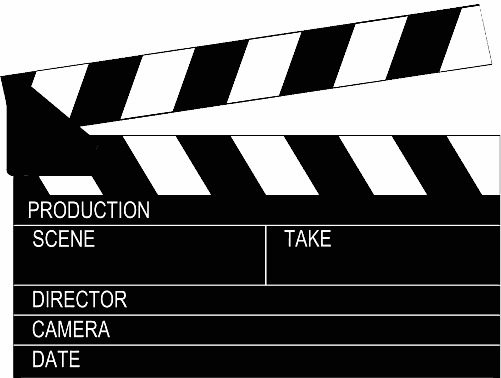 These include: screenwriting, producing, production management, directing, cinematography, lighting, sound recording, production design, costume design, acting, wardrobe, hair and makeup, stunt performance, special effects, editing, sound design, sound mixing, music, special visual and sound effects, animation, titles design, cinema distribution, cinema exhibition, marketing, and more. All these domains in Cinema also have further sub-domains within them. On the Top 20 RoI movie Primer (2004) Shane Carruth was: writer, director, producer, actor, editor, and music composer. The film won the Sundance Film Festival award, and is also possibly one of the most intelligent science fiction time-travel films created to date; its onscreen narrative also (intentionally) portrays the process of scientific discovery and creativity more accurately and realistically than most films. It is a truly remarkable movie. This overall research project is concerned primarily with the creativity of the movie writer, as – without a story – and script – to turn into a movie, there is: no movie to be financed, and, made; no `timeless human universals’ for actors to portray, onscreen; no images and sounds for a director to interpret and oversee; in short, no movie to make without a script; no `plan for making a movie’ without a story to tell onscreen. 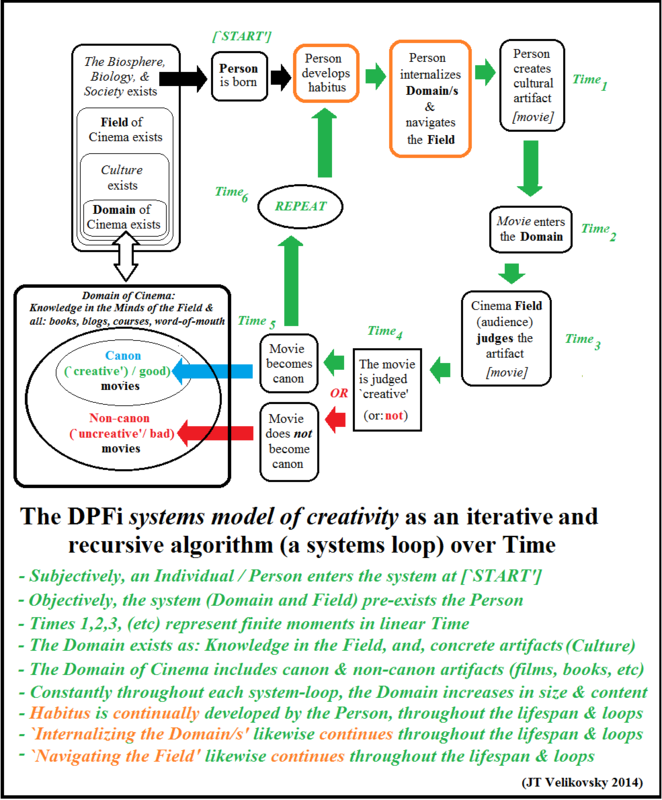 In 2014, in The Wiley Handbook of Genius (Ed: Simonton 2014) Csikszentmihalyi updated the DIFi (Domain Individual Field interaction) systems model, renaming it the `DPFi (Domain, Person, Field interaction) model. Also, as an aside, Sawyer (2012) is a 2nd edition of Sawyer (2006) noted above in Macdonald’s diagram, namely: Sawyer, R. K. (2012). Explaining Creativity: The Science of Human Innovation (2nd ed.). New York: Oxford University Press.. Note also that – in this systems process above, when films are selected by a consensus in the field (ie – the cinema audience! ), to either become canon – or are de-selected (i.e., films that are not liked or admired or respected for their `originality and usefulness’) there are various sub-types (categories) of canon, as per the diagram below. Some of these types overlap. But – some (in fact many) movies constantly move between all of these categories, as a `consensus of opinions’ change over time. One prime example is how, recently, after 50 years `at the top’ – the Orson Welles film `Citizen Kane’ moved from position #1 in the Sight & Sound Critics Poll, and Hitch’s `Vertigo’ moved into the #1 spot… This also shows how tastes and fashions change over time as culture evolves. Also `the Field’ in this specific case is not composed of the exact same people as it was 50 years ago: people both enter, and leave, the Field constantly (e.g. as they retire, or die, etc – and new ones emerge to take their place!). Also, it should be noted that poll is just one subsection of the Field. 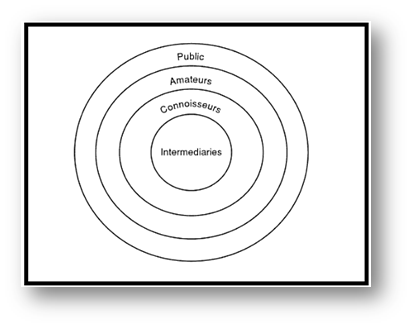 R K Sawyer in his excellent `Explaining Creativity’ (2012, 2nd edn) has an excellent diagram of `nested audiences’ in the Field, which applies to most cultural domains. For examples of bisociation in science and technology, see this post. As an aside there is a great documentary online on Kanopy where Howard Gardner interviews Mihaly Csikszentmihalyi on Flow: Psychology, Creativity, & Optimal Experience. …Thoughts / Comments / Feedback always most welcome. This definition of Creativity also correlates with (and, does not contradict) Csikszentmihalyi’s definition. Runco, Weisberg and Pope have offered critiques of the systems model, primarily noting that it potentially privileges the individual as creator, over group creation Phillip Mcintyre, Creativity and Cultural Production: Issues for Media Practice (Basingstoke; New York: Palgrave Macmillan, 2012) vii, 233 p. at 80-5.. For more on group creation, see work by R Keith Sawyer such as Explaining Creativity: The Science of Human Innovation R. Keith Sawyer, Explaining Creativity: The Science of Human Innovation (2nd ed. edn. ; New York: Oxford University Press, 2012). This phenomenon of `creative innovation’ also relates to Thomas Kuhn’s notion of anomaly. In The Structure of Scientific Revolutions, Kuhn’s theory about how paradigm shifts occur – is that “discovery commences with the awareness of anomaly, i.e., with the recognition that nature has somehow violated the paradigm-induced expectations that govern normal science” Thomas S. Kuhn, The Structure of Scientific Revolutions (Phoenix Books; Chicago: University of Chicago Press, 1962) xv, p52.. However this theory had many critics (Popper 1963, Nelson 1993, Martin 1991, Schiebinger 1999 and Longino 1994) when transferred from the natural sciences to the social sciences. Alexander Bird, ‘”Thomas Kuhn”‘, in Zalta Edward N. (ed. ), The Stanford Encyclopedia of Philosophy (Stanford University, 2011). Bird, Alexander (2011), ‘”Thomas Kuhn”‘, in Zalta Edward N. (ed. ), The Stanford Encyclopedia of Philosophy (Stanford University). Csikszentmihalyi, Mihaly (1996), Creativity: Flow and the Psychology of Discovery and Invention (1st edn. 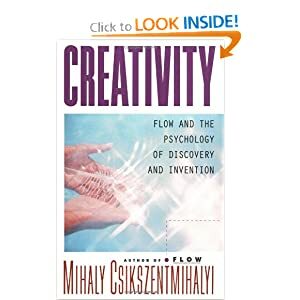 ; New York: HarperCollins) viii, 456 p.
Csikszentmihalyi, Mihaly (1997), Creativity: Flow and the Psychology of Discovery and Invention (1st HarperPerennial edn. ; New York: HarperPerennial) 456 p.
Csikszentmihalyi, Mihaly (1999), Implications of a Systems Perspective for the Study of Creativity, in R. Stenberg (Ed.) Handbook of Creativity (pp. 313-335) Cambridge: Cambridge University Press. Csikszentmihalyi, Mihaly and Wolfe, Rustin (2000), ‘New Conceptions and Research Approaches to Creativity: Implications for a Systems Perspective of Creativity in Education’, in K. A. Heller, et al. (eds. ), International Handbook of Giftedness and Talent (2nd ed. edn. ; Amsterdam; Oxford: Elsevier). Csikszentmihalyi (2014) `The Systems Model of Creativity and Its Applications’ in Simonton, DK [Ed] 2014, The Wiley Handbook of Genius, John Wiley & Sons, Ltd, West Sussex. Gruber, H. E. (1981). Darwin on Man: A Psychological Study of Scientific Creativity (2nd ed.). Chicago: University of Chicago Press. Hennessey, Beth A. and Amabile, Teresa (2010), ‘Creativity’, Annual Review of Psychology, 61, 569–98. Henry, Jane (2006), Creative Management and Development (3rd edn. ; London: SAGE) xii, 259 p.
Kuhn, Thomas S. (1962), The Structure of Scientific Revolutions (Phoenix books; Chicago: University of Chicago Press) xv, 172 p.
Macdonald, I. W. (2013). Screenwriting Poetics and the Screen Idea. New York: Palgrave Macmillan. Martindale, C. (1989). Personality, Situation and Creativity. In J. A. Glover, R. R. Ronning & C. R. Reynolds (Eds. ), Handbook of Creativity: Perspectives on Individual Differences (pp. 211-232). New York; London: Plenum. McIntyre, Phillip (2012), Creativity and Cultural Production: Issues for Media Practice (Basingstoke; New York: Palgrave Macmillan) vii, 233 p.
McIntyre, P 2013, ‘Creativity as a System in Action‘, in K Thomas & J Chan (eds), Handbook of Research on Creativity, Edward Elgar Publishing, Northampton, MA, pp. 69-83. Runco, MA & Jaeger, GJ (2012), ‘The Standard Definition of Creativity’, Creativity Research Journal, vol. 24, no. 1, pp. 92-6. Sawyer, R. Keith (2012), Explaining Creativity: The Science of Human Innovation (2nd ed. edn. ; New York: Oxford University Press). Simonton, D. K. (2012). Creative Thought as Blind Variation and Selective Retention: Why Creativity is Inversely Related to Sightedness. Journal of Theoretical and Philosophical Psychology, 33(4), 253-266. 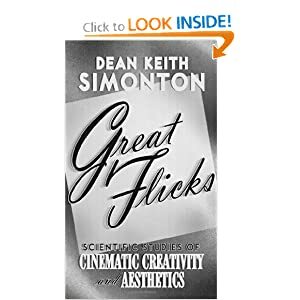 Simonton, Dean Keith (2011), Great Flicks: Scientific Studies of Cinematic Creativity and Aesthetics (New York; Oxford: Oxford University Press). Simonton, DK 2013, ‘What is a creative idea? Little-c versus Big-C creativity’, in K Thomas & J Chan (eds), Handbook of Research on Creativity, Edward Elgar Publishing, Northampton, MA, pp. 69-83. Sternberg, Robert J. (1999), Handbook of Creativity, ed. Robert J. Sternberg (Cambridge: Cambridge University Press) ix, 490 p.
Sternberg, Robert J. and Lubart, T.I. (1999), ‘The Concept of Creativity: Prospects and paradigms’, in Robert J. Sternberg (ed. ), Handbook of Creativity (Cambridge: Cambridge University Press), 3-15. Vogel, H. L. (2014). Entertainment Industry Economics – A Guide For Financial Analysis (9th ed.). New York: Cambridge University Press.